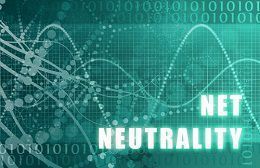 Net neutrality is often called the “open Internet.” It means that Internet service providers must give access to all content and applications, no matter the source. It also means that they may not block or favor one product or website over another. Basically, it prevents them from creating what many call “fast” and “slow” lanes of Internet—where your Internet speed would depend on how much of a “road tax” you were willing to pay. By a three-to-two vote on Thursday, February 26, 2015, the Federal Communications Commission (FCC) classified Internet providers as public utilities. What this does is prevent cable and telecommunications companies from controlling what users see on the Internet and allows government agencies to regulate how much consumers pay for their services. A court ruling in 2014 had blocked the FCC’s earlier attempt to regulate cable-based online services, but that ruling left an opening for this week’s vote. This FCC decision also imposes net neutrality rules on mobile communications for the first time. Cable TV and telecommunications corporations, along with the majority of GOP lawmakers, have slammed the move. They see it as an overreach of government intervention. And, of course, lawsuits are expected to be filed soon. Their argument is that online companies such as Netflix and YouTube make up the lion’s share of web traffic, so they should be responsible for a portion of the cost of expanding and maintaining the infrastructure that delivers web content to consumers. They assert that the cost associated with this maintenance and expansion will fall onto the cable and telecom companies, and that these costs, in turn, will prevent them from upgrading and expanding coverage across the nation. Netflix, YouTube, and even Major League Baseball—all of which rely heavily on viewership through streaming online video—are overjoyed with the news. They believe, as most techies like myself do, that without net neutrality, Internet speed will be held hostage by Comcast, AT&T, and other telecom companies. One way to look at this is to imagine that your water and electricity was run by Comcast. If this were so, they would be within their rights to decide who gets electricity and when. Depending on how much money you were willing to pay you could get either spotty, weak current or consistent, strong stream of power. Add in the fact that most cities in the United States rely on one cable Internet provider, and you will recognize the monopolistic leverage that net neutrality opposes. There are no immediate actions that an attorney, doctor, or other business owner should take. However, your business just dodged a bullet—as did we. If net neutrality rules had been discarded, your web marketing costs would have skyrocketed. We would be paying much more, and so would you. No matter how you feel about net neutrality, this decision most certainly saved you money. But this decision is only the first step of many. Undoubtedly the FCC ruling will be appealed in the federal courts. The U.S. Congress will be under pressure by communications lobbyists to change the rules and delay (or kill) net neutrality regulations. If you are active in political affairs, you may wish to make your voice heard on this issue. What are your thoughts on net neutrality? Do you think that the commission did the right thing, or were you hoping for a different outcome? Let us know by commenting below! Speaking of Your Costs: How Much Should You Spend on a Pay-Per-Click Campaign? Is it Time to Panic Over How Long Your Site Takes to Load? Maybe!